In light of Anthony Bourdain and Kate Spade’s recent suicides, mental illness is at the forefront of the cultural conversation. 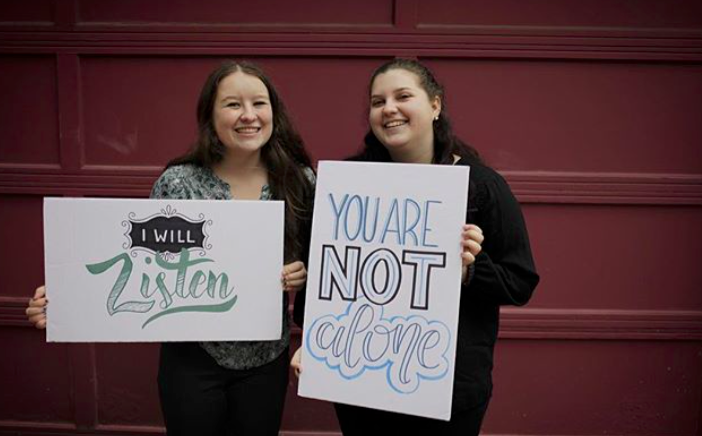 While suicide awareness is always welcome, education is even better, and a group called Active Minds is helping to reduce the stigma around mental illness on college campuses. According to a new study, their efforts are working. A new study published in the Journal of the American Academy of Child and Adolescent Psychiatry revealed that Active Minds isn’t just a necessary campus presence, it’s actually changing minds. The study was conducted across 12 campuses in California from 2016 to 2017 and the gist of the survey was to see how students’ opinions about mental health changed over the course of the year. "More than 1,000 students across California were recruited through college fairs, social media and a variety of other ways. The first survey was taken in September. Then the same questions from that survey were asked in November and April. Each survey we asked the same questions, and over time we saw what happened with the answers of the students." The major takeaways from the study include that an Active Minds presence on campus led to more knowledge and positive attitudes about mental health. More importantly, as students became more knowledgeable about mental health, their behaviors changed, and by the end of the year, more students reported that they would be more likely to reach out to a friend they thought could be struggling or suicidal. If you or anyone you know are contemplating suicide, you can reach out to the National Suicide Prevention Lifeline, day or night, at 1-800-273-8255.